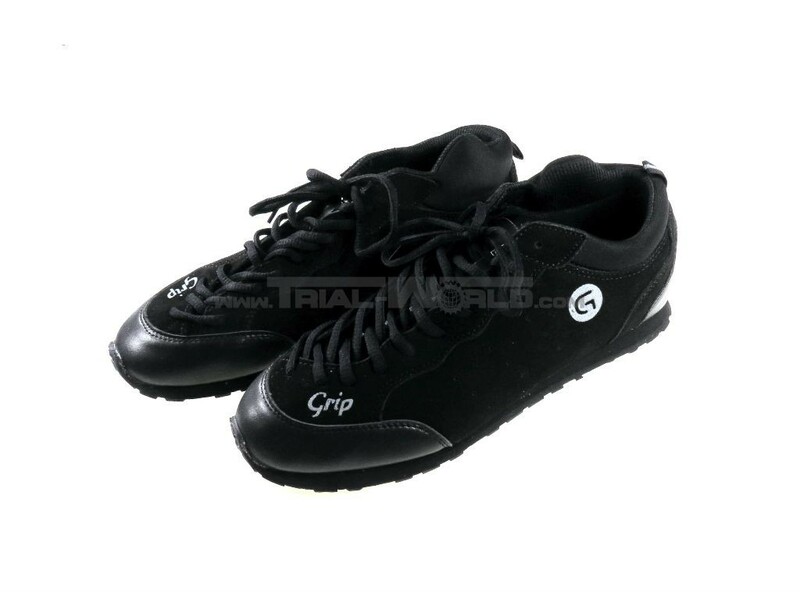 These are the new Grip trial shoes developed and worn by no less than Jack Carthy! 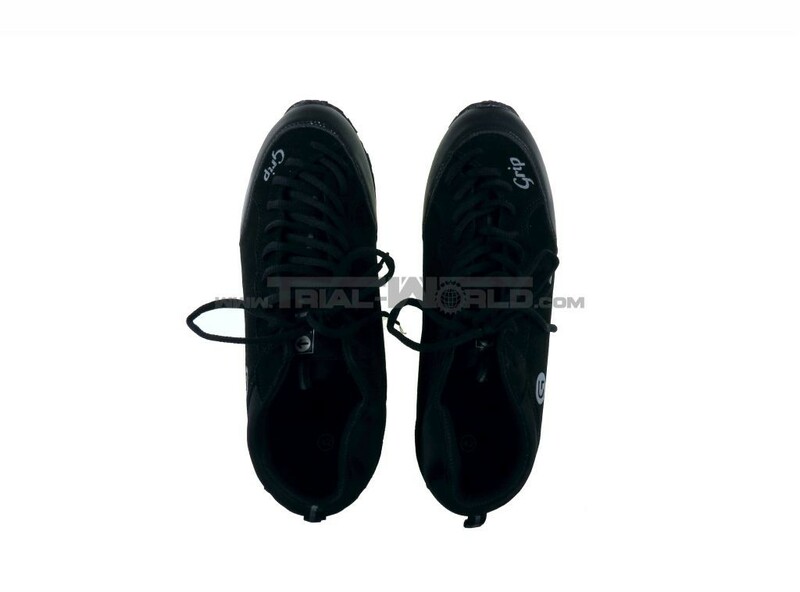 For the perfect fit, these shoes provide a ten-hole-lacing until your tiptoes (similar to climbing shoes). 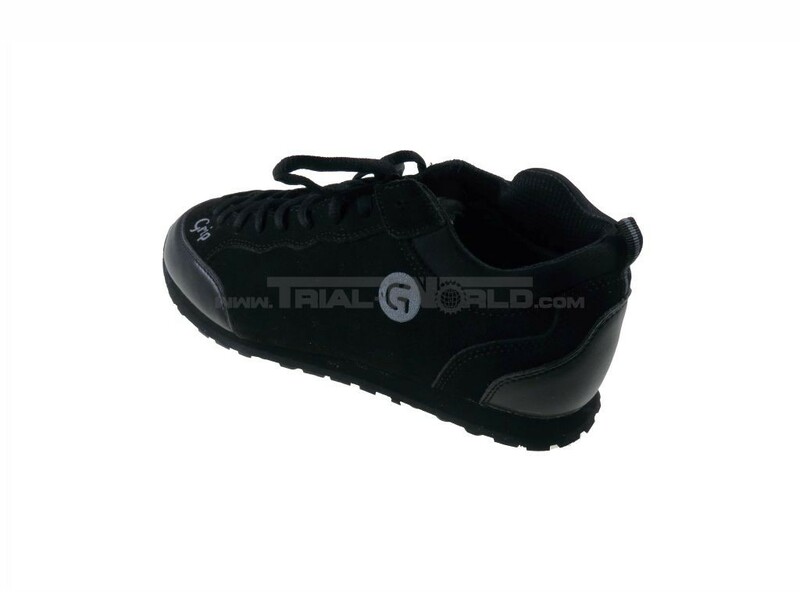 The upper material is suede leather with fine ventilation holes. 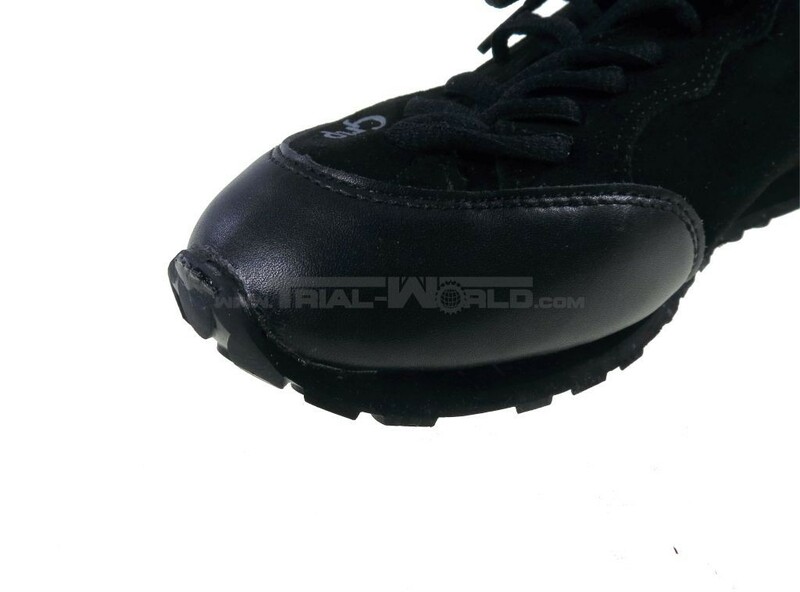 The inner area of the ankle is higher and padded to provide injuries by rubbing on your cranks. For maximum freedom of movement they refrained about this on the outer side. 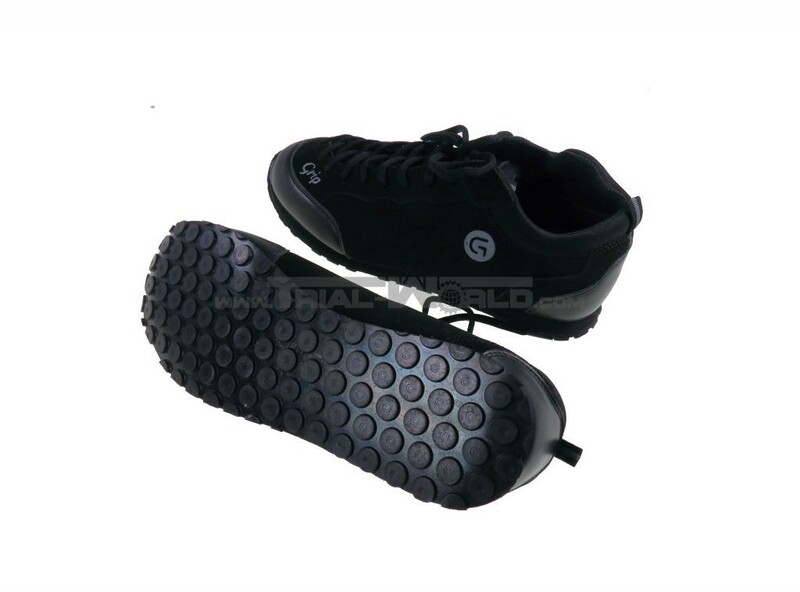 For the ultimate grip on pedals as well rough terrain ensures the popular vibram sole. The lifted sole tip is sewn, to prevent a removing of this sensitive juncture. 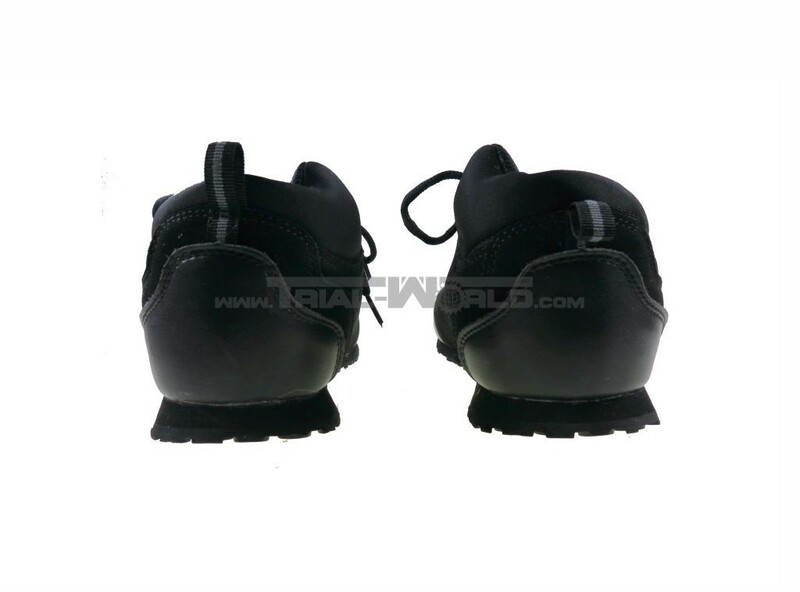 The shoes fit in normal size.